Seeing as how Trump was democratically elected as President of the United States partly on his campaign promise to draw down America’s involvement in costly overseas conflicts, Kakar is implying that the will of the people should be ignored in order to promote the interests of the US’ permanent military, intelligence, and diplomatic bureaucracy (“deep state”), which is superficially hypocritical for someone from the self-professed “world’s largest democracy” to say but makes sense when one realizes that the Indian “deep state” (of which Kakar is a part) hijacked control of the country after Modi took office. For reasons of “narrative convenience”, Kakar ignores the fact that the withdrawal from Vietnam was extremely popular with average Americans, just like a similar one from Afghanistan would be as well. This should have been self-evident because Trump’s foreign policy is all about prioritizing US interests instead of ‘taking one for the team’ and ‘doing favors’ for its international ‘partners’ who he feels have been exploiting America for far too long by freeloading off of it. 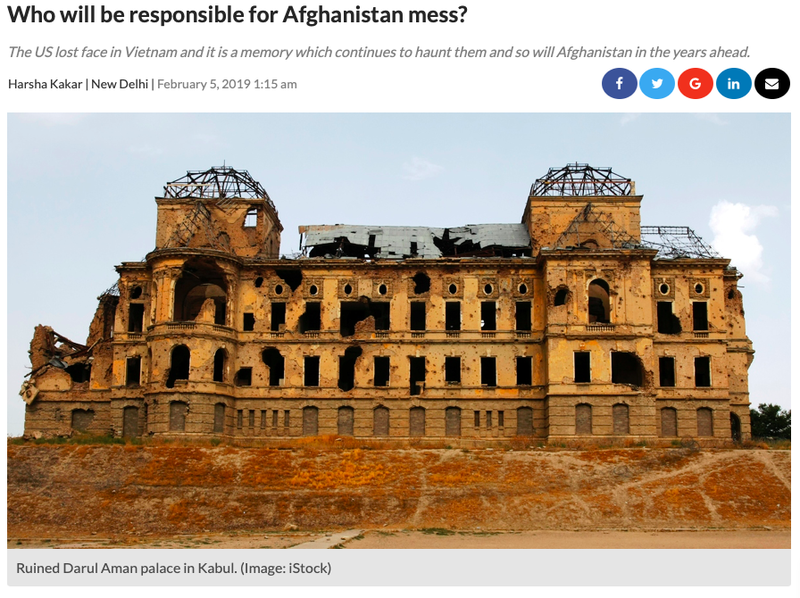 India, it can be said, is one such ‘partner’, at least when it comes to Afghanistan, though this will be returned to in the next section of the present article. Continuing along, Kakar’s next series of points touch upon his views on how wounded US and NATO veterans, as well as those who lost their brothers-in-arms in the conflict, might dislike that Trump’s withdrawing without a victory, but the Major-General seems to be out of touch with the rank and file because otherwise he’d know that this war is very unpopular with them. Once more, Kakar’s angle of approach to this issue is the same as Trump’s “deep state” foes’ in that he deliberately overlooks just how popular the President’s intention to withdraw from Syria is among average Americans in order to further his own ‘class’’ institutional interests at their expense. The next chain of interconnected points that he tries to make is that the Taliban will go back on its previously stated commitment to peace and inclusive governance as part of a preplanned conspiracy with Pakistan, though not before Islamabad “obtains US largesse, has doors for IMF loans opened and pressure…applied on India to pull out of Afghanistan.” It’s actually these three outcomes of Pakistan’s diplomatic facilitation of the peacemaking process that Kakar – and by extrapolation, the Indian “deep state” that he represents – is most fearful of. Right near the end, Kakar predicts that “Trump would have demitted office but would remain in history books for being responsible for the death of a nation”, concluding that “It would only prove the adage of ‘Afghanistan being the graveyard of empires’”, but the US might actually save itself from collapse by withdrawing from the war-torn state, reinvesting its money in domestic infrastructure and socio-economic projects instead, and getting out of the quagmire while it still can. 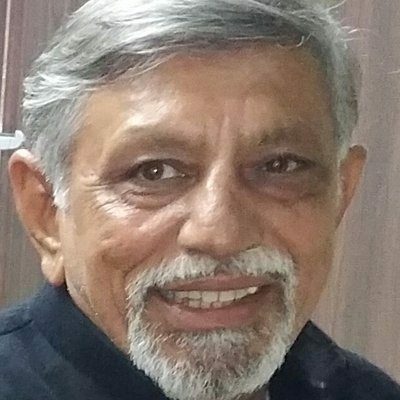 On the other hand, the same can’t be said for Modi and his envisaged empire of “Akhand Bharat”, which might both be dealt political death blows ahead of India’s general elections in May if serious concern over the geopolitical consequences of a possibly impending American withdrawal from Afghanistan combines with other issues to convince voters to kick the hyper-jingoist Hindutva ideologues out of office before they lead their country to ruin. It’s little wonder then that India’s “deep state” has sour grapes over the US’ Pakistani-facilitated peacemaking progress in Afghanistan because it could end their dreams of a regional empire once and for all.